I love camping. One of the things I love the most is the food, because I will cook everything over the open flame. The flavor you get from camping is unique and can’t be replicated on a grill. Then along comes Fireside, whose objective is to create campfire food. We ordered 3 things so we could get an idea of what this newly opened place was about. We ordered the grilled romaine, the grilled flatbread with caramelized onions, mushrooms and nettles, and the burger, which the owner insisted we must try. 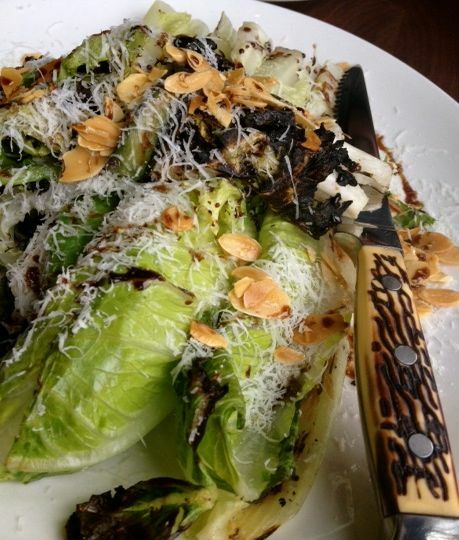 Grilled romaine from The Fireside. You could instantly taste the difference in the romaine. I loved the way it had a deep smokey flavor, almost as much as I loved the knife they served it with. That brought back childhood memories. The grilled flatbread was perfectly done and also had amazing flavors. I love that they are using fresh local ingredients. According to the owner they had gone out and foraged their own nettles (aka stinging nettle) and mushrooms. 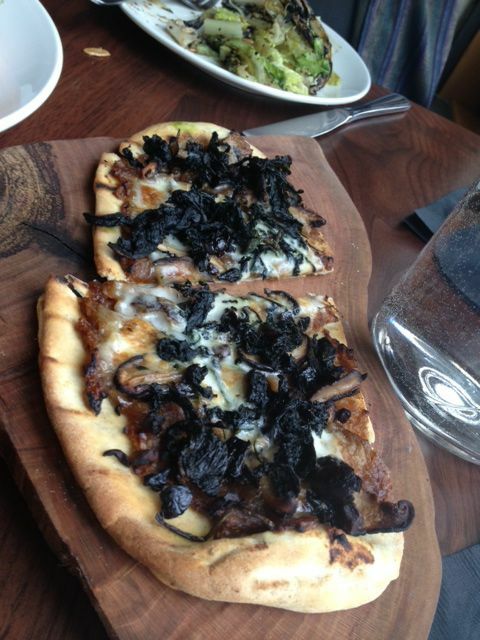 The Fireside flatbread with mushrooms, onions and nettles. 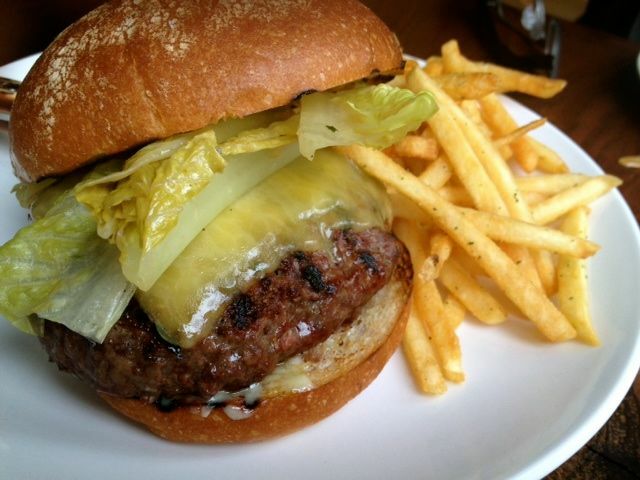 The burger was incredibly juicy and very flavorful and it was grass fed beef. That’s a tough one to pull off I think. I won’t lie, I like my cows marbled with a bit of fat for flavor. I also liked that the burger came with shoestring fries, and they were good. Atmosphere of this place is exceptional. Go check out their Facebook page and look at the interior. They have 2 big fireplaces. The windows open up for summer, but the fireplaces make it a great cozy place for fall and winter. It’s a big space and they have paid attention to detail. Pricing for lunch was really good. Serving sizes were nice sized as well. They have a full bar, but we didn’t order anything. Fireside is located on NW 23rd in the old Music Millennium space.